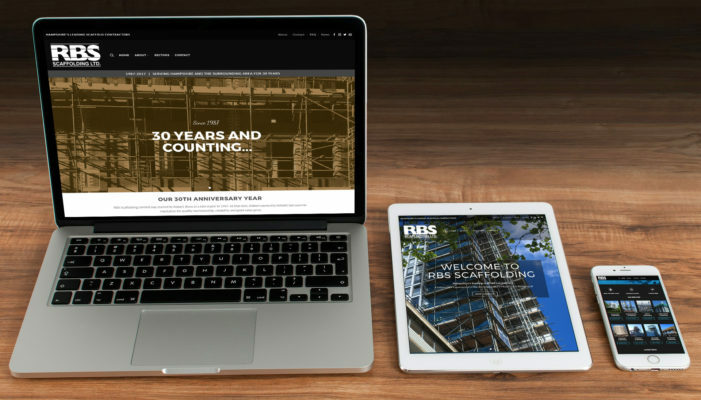 This page features just a small sample of the diverse projects RBS have been privileged to have worked on in recent years. 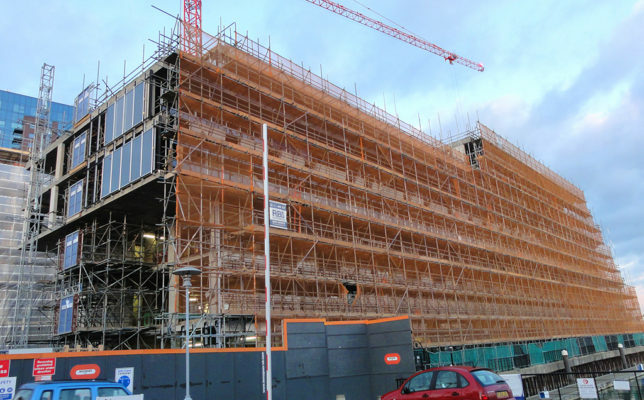 RBS Scaffolding Ltd are experts in commercial operations and recognise that experience and reliability are the key to a successful project. 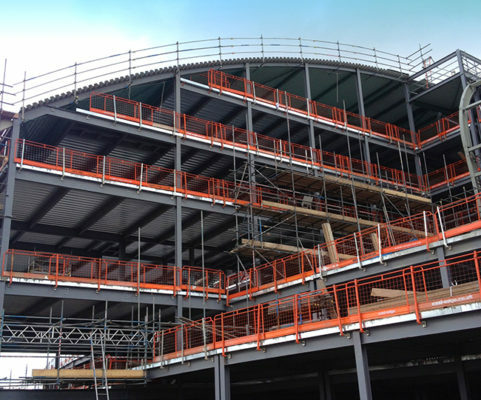 We are able to call upon fully qualified structural engineers to provide clients with bespoke, detailed and risk-assessed design drawings in 2D and/ or 3D dimensions. 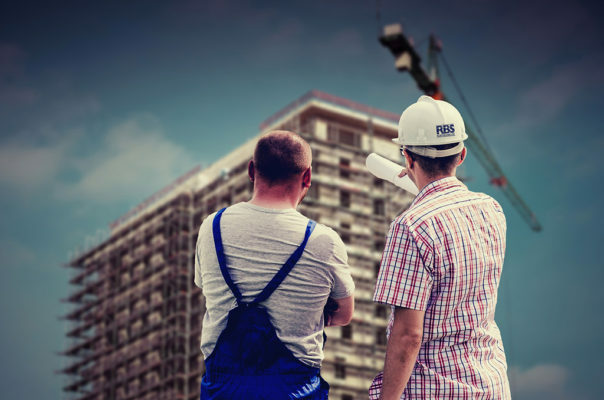 Our highly qualified, directly employed workforce receive thorough training in a vast variety of areas, and have the skill to ‘think outside the box’. 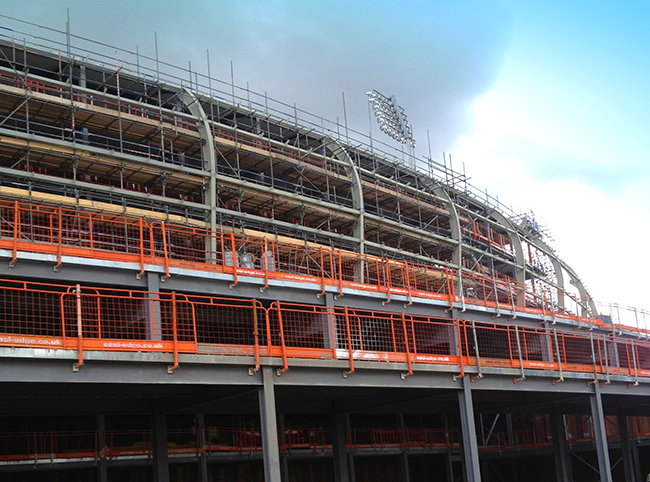 They regularly provide innovative scaffolding and roofing solutions to the challenges faced by clients. 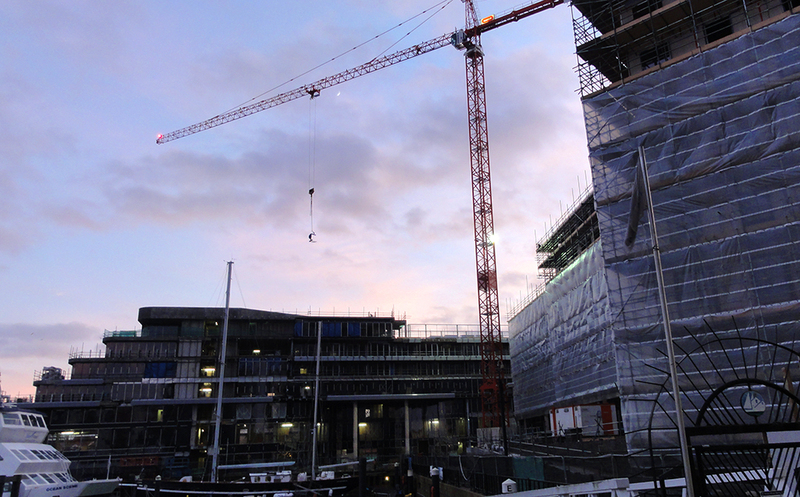 Our flexible workforce enables RBS to go the extra mile to meet customer needs and carry out commercial projects that our competitors would find hard to facilitate. 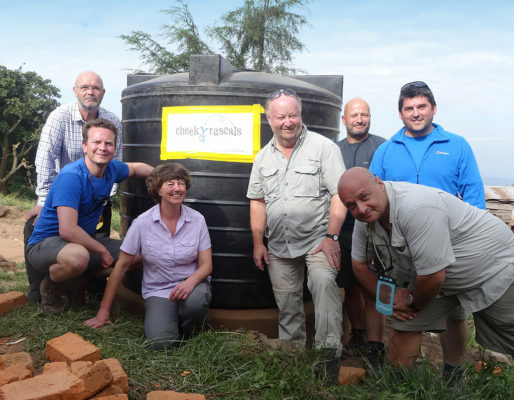 We will liaise with you from the planning stage through to completion and at every stage of the project you can be confident that we have the knowledge and resources available to ensure that your project is completed safely and to programme. 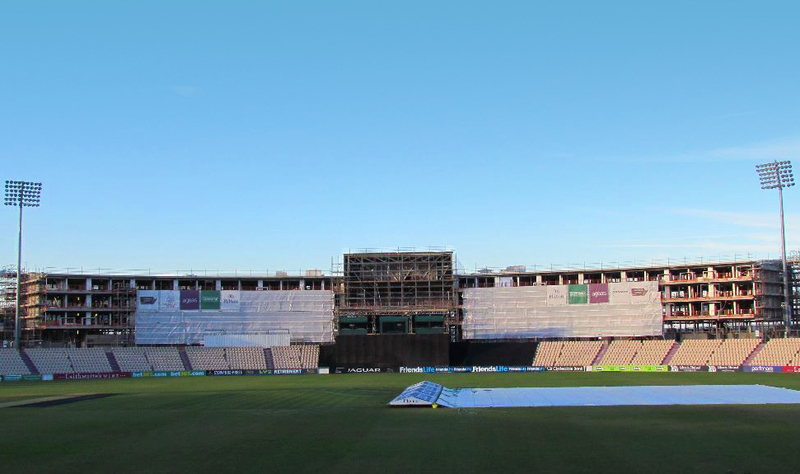 As part of The Ageas Bowl’s re-development, a 175-bedroom 4-star hotel was constructed at the northern end of the ground. 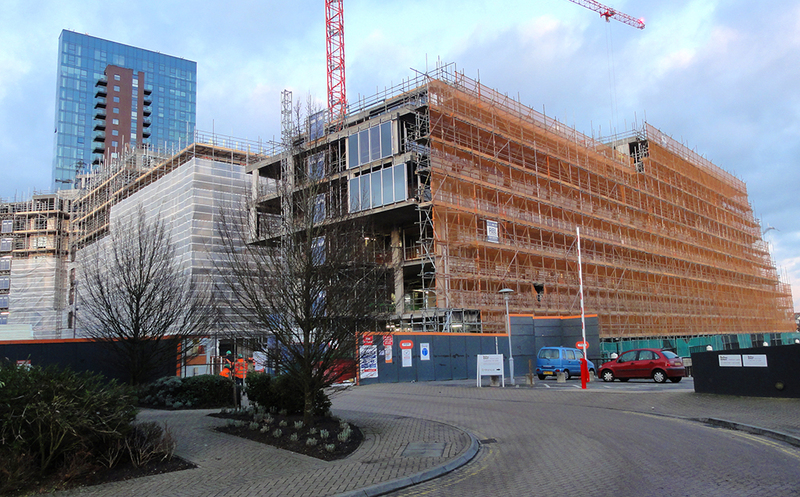 RBS Scaffolding provided the access scaffolding for the new Hilton hotel. As well as providing access for the construction works, RBS Scaffolding constructed screens to allow the programmed cricket matches to continue whilst building works are hidden from view. 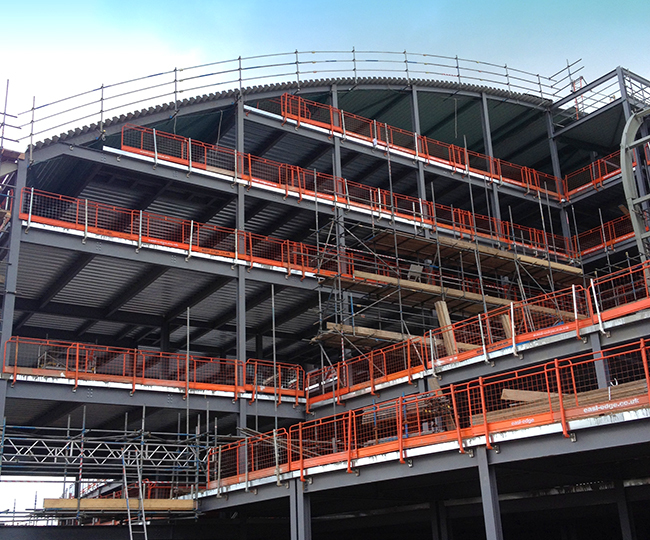 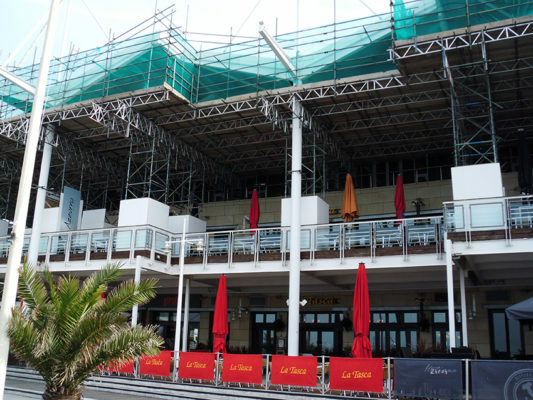 RBS Scaffolding provided a bespoke access solution at Gunwharf Quays. The scaffolding comprised a series of Cuplok support towers and staircases linked with 750mm aluminium beams. 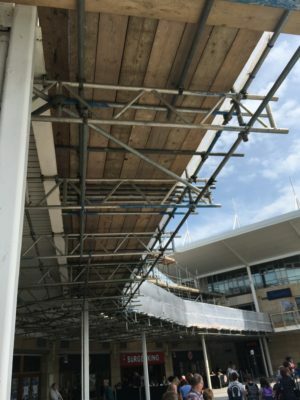 A series of secondary 450mm aluminium beams were installed to form the access frame work and the deck was completed with scaffold boards and a plywood overlay. 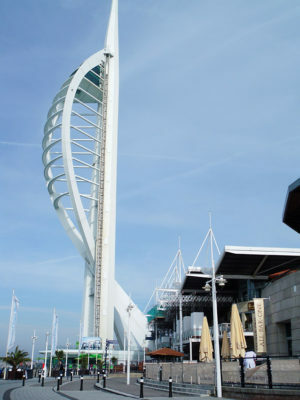 This unique design allowed complete access to the entire work area whilst maintaining access to the vast array of restaurants and bars below. RBS carried out this project in the Hedge End retail park in Southampton to allow the roof masts to be repainted. Edge protection including the innovative SG4 Shoreguard System was used as well as traditional tube and fitting guardrail. 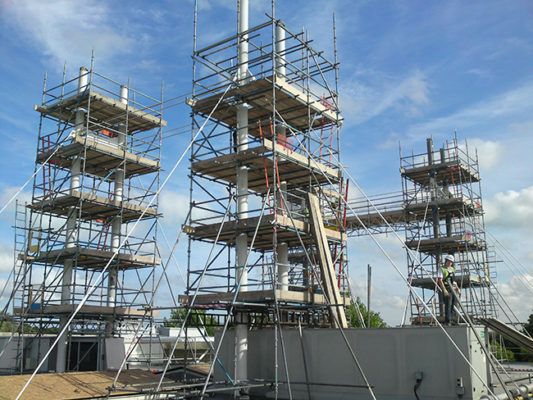 The main towers were built with a traditional birdcage scaffold to surround each mast. 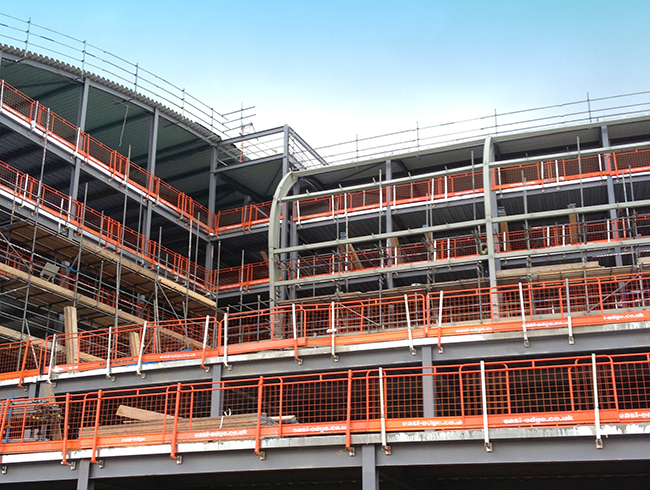 A beam section was provided for safe access and stability. 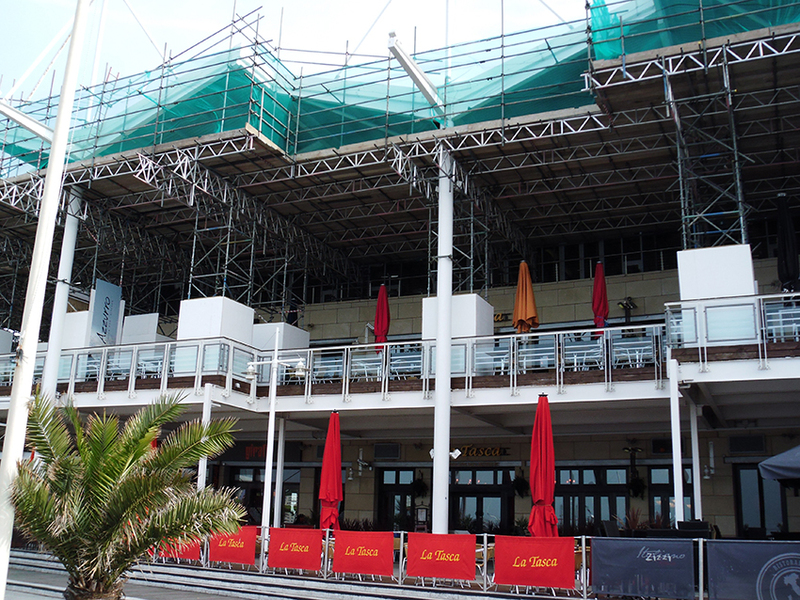 Structural engineer reports were used to allow internal propping to support the scaffold and Monarflex sheeting. 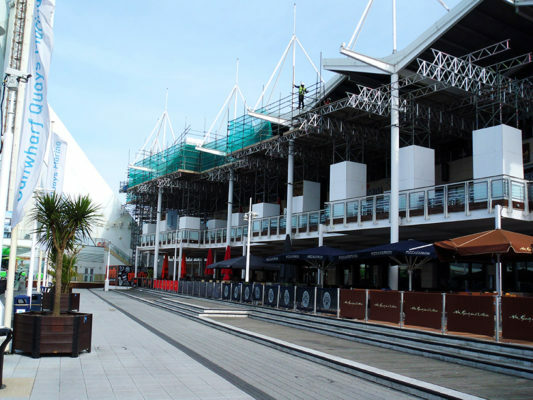 Alexandra Wharf – in the heart of Ocean Village – One of the most desirable marina locations in the UK, has been undergoing a major facelift with the construction of Southampton’s only five-star hotel and luxury apartments for our client, Bouygues. The hotel’s unique luxury yacht inspired design will reflect Southampton’s thriving marine culture. 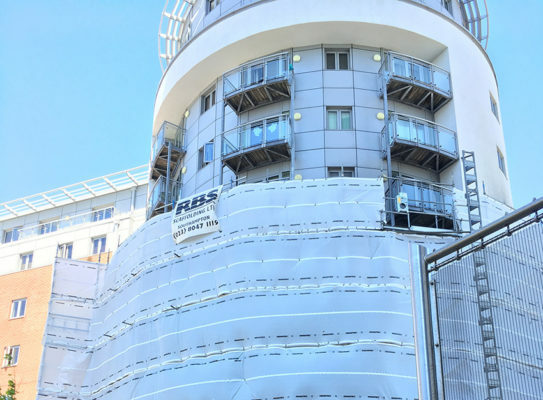 This was an exciting challenge for RBS due to sheer scale of the operation (over 500 tonnes of scaffold) as well as the demand on our workforce requiring over 15 operatives for long periods of time. 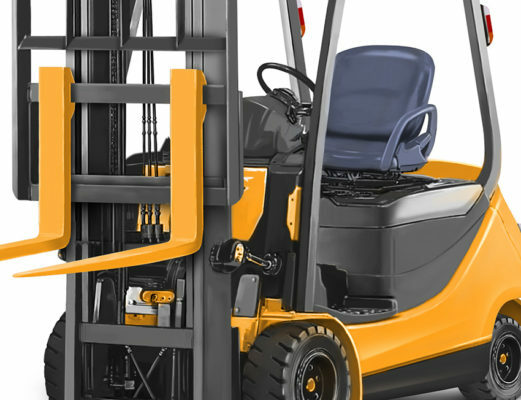 For professional, expert advice and experience from a reputable and reliable local company. 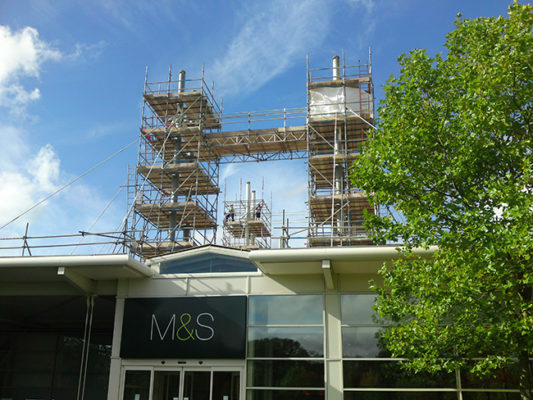 Looking for a Career in Scaffolding? 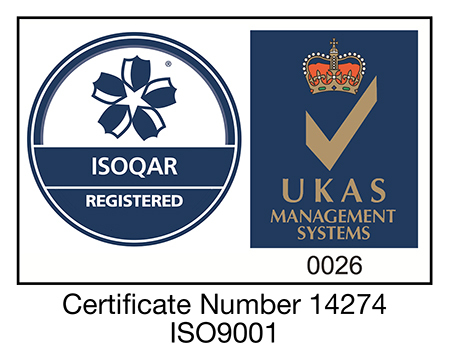 RBS are quality assured to ISO9001. 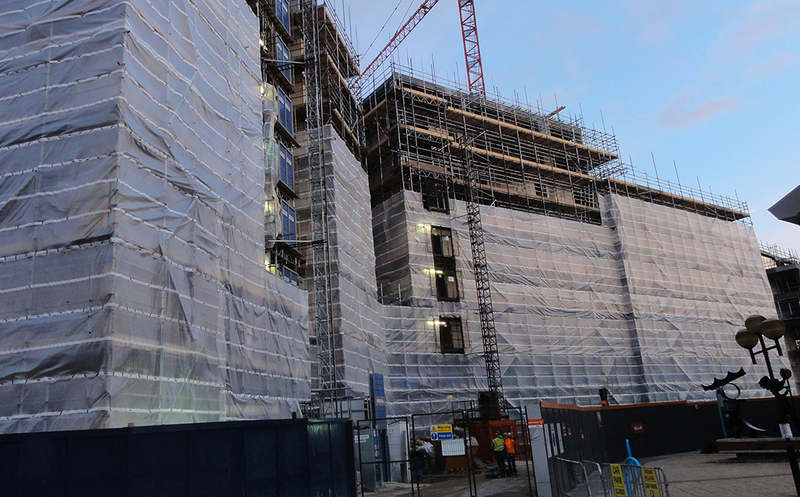 All jobs are covered by a Method Statement and Risk Assessment and handover certificates. Our staff are all continually assessed and kept up to date with training not only in scaffolding but all aspects of the industry. 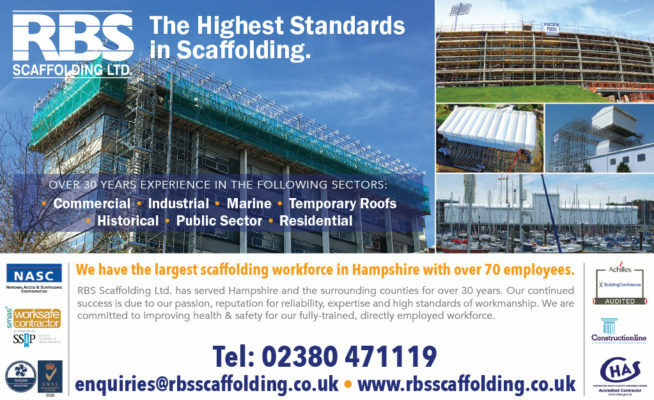 Looking for a Career in Scaffolding? 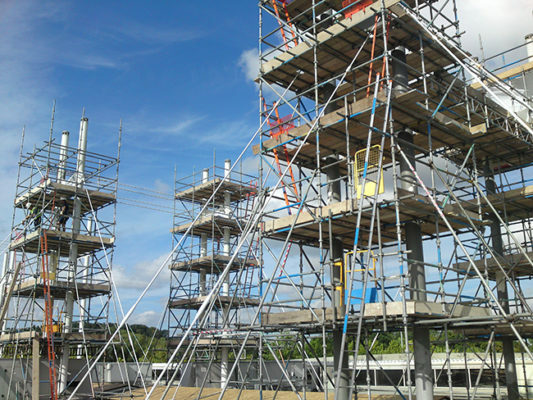 Comments Off on Looking for a Career in Scaffolding?